The featured biographical documentary is Apple and its founder Steve Jobs. Apple Computers, one of the largest companies the world has ever seen, is a brand that inspires funk and coolness by changing the game when it comes to consumer electronic devices. It all started with the Macintosh computer back in 1987, and now the iPhone. Steve Jobs, a perfectionist college dropout, inspired major advancements in computer technology. The Macintosh was the first computer with a mouse. Apple painted IBM as big brother (likely well deserved since they made the counting machines that counted and tracked the Jews of Hitler’s Holocaust during WW2) in its famous 1984 Commercial. 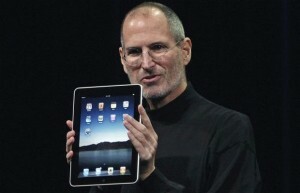 Steve Jobs believed technology could change the world. Apple is also looked at as a combination of the hippie culture, and the rise of technology, in marriage. Apple Computers first started out of a garage.